Every once in a while, someone announces a scientific discovery that sounds too good—or at least too amazing—to be true, because it contradicts the conventional wisdom of the day. Occasionally, as in the heretical claim that Earth revolves around the Sun, the discovery turns out to be correct. Then there are the stories of perpetual motion machines, cold fusion reactors, and the like. We’d like to believe in them, and the demonstrations sure are impressive, but then someone looks a bit closer and points out that appearances are deceiving and nothing spectacular is happening after all. Sometimes the so-called discovery is an out-and-out hoax, as was the case with the famous Piltdown Man fossils. But even honest, well-intentioned scientists sometimes make mistakes, and when their claims get ahead of solid proof, tremendous embarrassment can result. Such was the case with polywater, a seemingly remarkable substance discovered by Russian scientists in the mid-1960s. The story begins squarely in the world of science fiction. In 1963, Kurt Vonnegut published a novel called Cat’s Cradle. 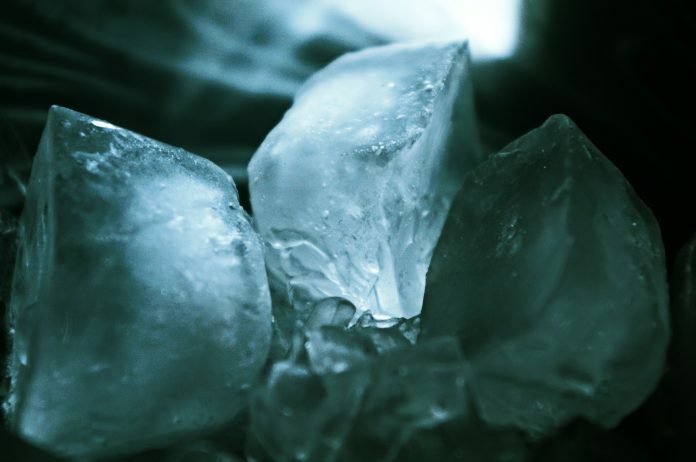 In the story, a scientist has discovered a new form of water, called ice-nine, which freezes at room temperature. Moreover, when ice-nine comes in contact with ordinary water, that water turns into ice-nine and solidifies too. So the dramatic tension comes from the danger that all the world’s water could turn into ice-nine, which would be problematic for obvious reasons. A few years later, a Russian scientist named Nikolai Fedyakin was performing experiments that involved putting water in sealed capillaries (very thin tubes made of glass or quartz). He noticed that in some of the capillaries, a second column of water formed above the water that should have been there, with an intervening layer of air. As the quantity of this second column increased, the quantity of the original water decreased. More intriguingly, though, this second column of water was thick, like a syrup. Not only did it have a higher viscosity, but it also remained liquid far below water’s normal freezing point, and boiled at a much higher temperature. Fedyakin believed he’d somehow stumbled onto a new form of water—after all, what else could it be? There hadn’t been anything but water in the capillaries in the first place. Another scientist, Boris Deryagin (also spelled Derjaguin), soon took over Fedyakin’s research, and was also able to produce this mysterious substance. He reported his findings in science journals, and before long, he began traveling abroad to present his work to other scientists. Researchers in England and the United States attempted to replicate his results, with mixed success. Those who did succeed were able to produce only tiny amounts of the substance at a time. But the U.S. Bureau of Standards examined a sample in 1969 and determined that it was indeed a new form of water. They believed that the water had polymerized, or formed long chains or rings of molecules, and dubbed the substance polywater. Meanwhile, the very notion of a new form of water sparked an enormous controversy. On one side were skeptics who believed that there simply wasn’t and couldn’t be a new form of water. They assumed that the glassware or the water being used in the experiments must have been contaminated somehow, despite the assurances of researchers that everything had been properly sterilized. On the other side were people who trusted the experimental results they’d seen so far, came up with theories to explain what might have caused polywater to form, and also used polywater to explain away other phenomena they couldn’t adequately account for. Apparently someone in this latter group had read Vonnegut’s novel, because a worry arose and quickly escalated into a panic: perhaps if polywater came in contact with ordinary water, the plain water would all turn into a viscous goo too! Scientists were urged to treat polywater as a deadly substance until it was shown definitively to be safe—even though no one could make more than a drop of polywater at a time, and even though no one had ever demonstrated that polywater had any effect on plain water. The story has a happy (if anticlimactic) ending. Polywater samples were subjected to much closer scrutiny, including chemical tests and examination under an electron microscope. Every single sample showed some contamination with impurities of various kinds—in other words, polywater was nothing more than tiny particles of other substances suspended in ordinary water. When the original experiments were repeated, this time with extraordinary care given to cleaning the test apparatus, polywater could no longer be produced. By 1972, most of the world’s scientists considered the case closed and moved on to new mysteries. Deryagin was somewhat more reluctant to admit he’d been wrong, but in 1973 even he conceded that polywater did not exist. He’d lost face, but there was a bright side: at least he avoided solidifying the planet’s oceans. That’s got to count for something. Note: This is an updated version of an article that originally appeared on Interesting Thing of the Day on August 9, 2006.